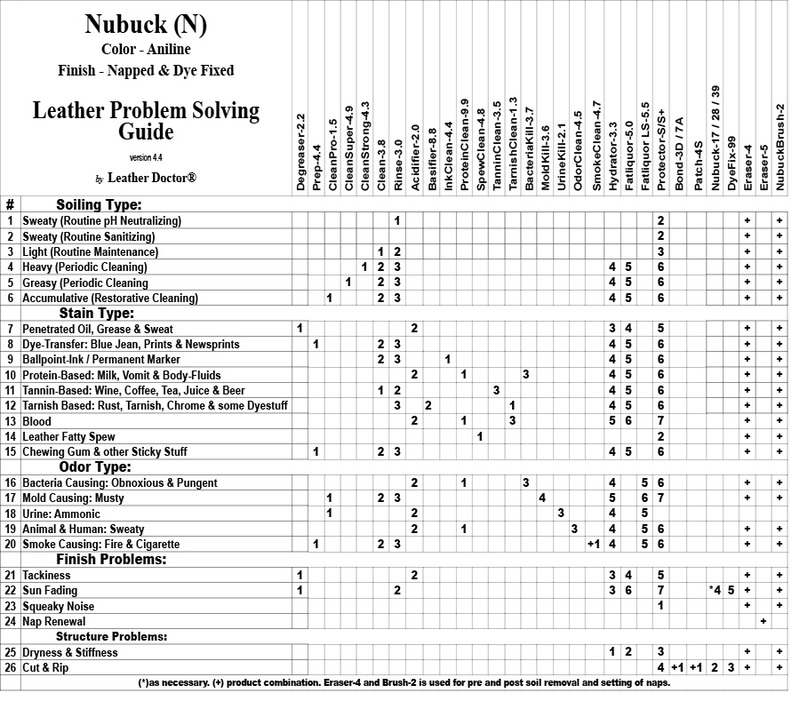 Identify the leather problem from the left column with the top row product recommended and the numbers denotes the sequence of steps. When leather have compound issue combine the soiling, stain and odor types as the cleaning phase-1 and the leather rejuvenating with Hydrator-3.3 > Fatliquor-5.0 as the second phase-2. Structural problem as third phase-3, Finishing as phase-4 and protection of the finishes as phase-5.